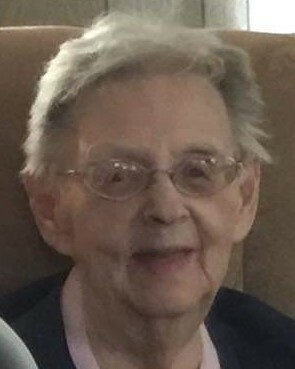 Janice Louise "Granny" Schroeder Reynolds, passed away on March 28th at Tomah Memorial Hospital surrounded by friends and family. She was born on November 25, 1930 in Green Lake Wisconsin to William and Dorothy (Hoffman) Schroeder and was married to Edward "Papa" Reynolds on November 26th, 1947. To this union 4 children were born, Kathleen, Randy, Barry and Cindy. Granny and Papa operated the Standard station in Camp Douglas Wisconsin for many years until the freeway came through and Papa went to work at Camp Williams. Granny then worked jobs at the Oakdale Speedway and at Target Bluff, where she would still be working to this day if they let her. Granny loved to cheer her beloved Cubbies, and she was excited to be able to celebrate the Cubs first World Series win in 108 years in 2016. She also enjoyed a night out at the casino trying to win a fortune at the slot machines. Nothing was as important to her as her family. You could always find her at home cooking up a meal for the next family gathering. As the matriarch of the family she dealt with every person the same way, with love and respect. Anyone that walked through the door became family. She was a solid presence in everyone's life, someone you could count on. She was a positive role model and has had a positive influence on every life she touched. She never judged anyone and accepted all people. She will be greatly missed by many. Granny is survived by a son Randy of Camp Douglas and a daughter Cindy (Tom) Ormson of Necedah, a son-in-law Richard Wright of Camp Douglas, a sister Sandy (Robert) Young of Bear Creek, WI. By a sister-in-law Geniece Schroeder, Daughter-in-law Rhonda Burch, and a lifetime friend Andy Minnekar. By 13 grandchildren: Peter (Sue) Wright, Sara (Billy) Palmer, Tyson (Ali) Artz, Tiffany (Brian) Anderson, Tom (Amy) Reynolds, Allen Reynolds, Jason Reynolds, Lora (Craig) Arisman, Trisha (Tyler) Reynolds, and Tayla Ormson, Apryl Ravet, Mike (Mary) Ravet, and Cade (Misty) Ravet, Great Grandchildren; Allison, Nathan, Cortney, Trevor, Jacob, Carly, Kai, Aria, Nori, Brock, Benjamin, Brenna, Carter, Kadence, Garrett, Adrian, Micheal, Riley, Ian, Aven, Athen, Maddi, Greta, and Malena, and by great great grandchildren, Nolin and Jaxin. Granny was preceded in death by: her parents, husband Edward, son Barry, daughter Kathleen Wright, a great granddaughter Ryann Arisman, brothers William, Robert, Lewis, sisters Barbara Lee and Beatrice Hatfield.